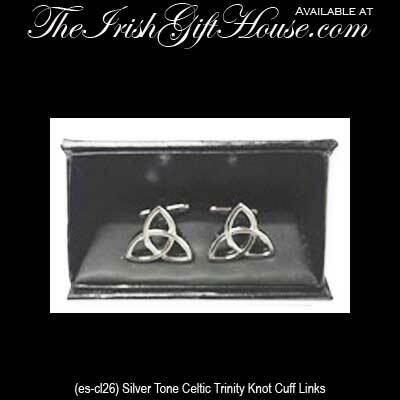 Celtic cuff links feature classic Trinity knots that are crafted of silver tone metal. These Celtic cuff links are Trinity knots that are crafted in silver tone metal and measure 3/4" wide. The Trinity cuff links are made in Scotland and they are gift boxed with a Celtic knot history card, complements of The Irish Gift House. Irish cuff links feature shamrocks that are crafted of silver tone metal.